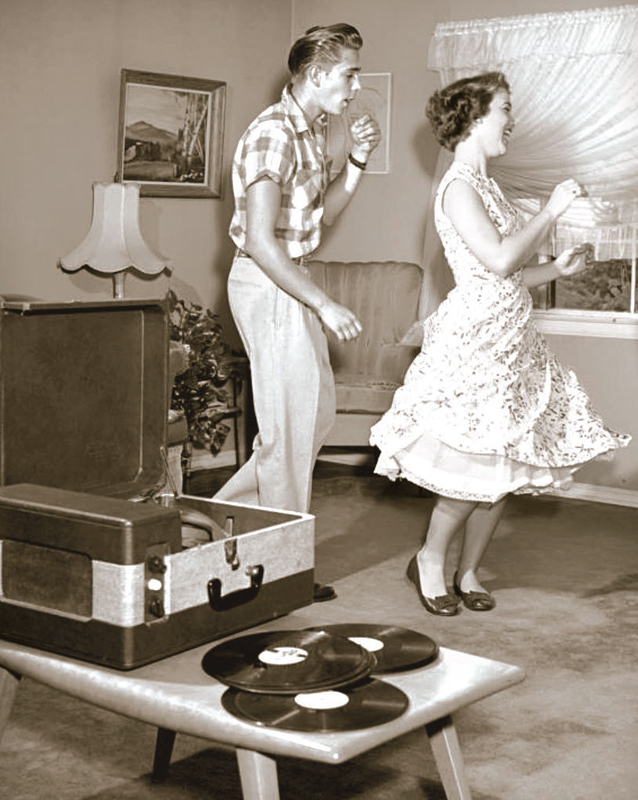 By the time of this shot in the early 1950s, record players, first playing 78 rpm discs (as above), were common entertainment in American homes. 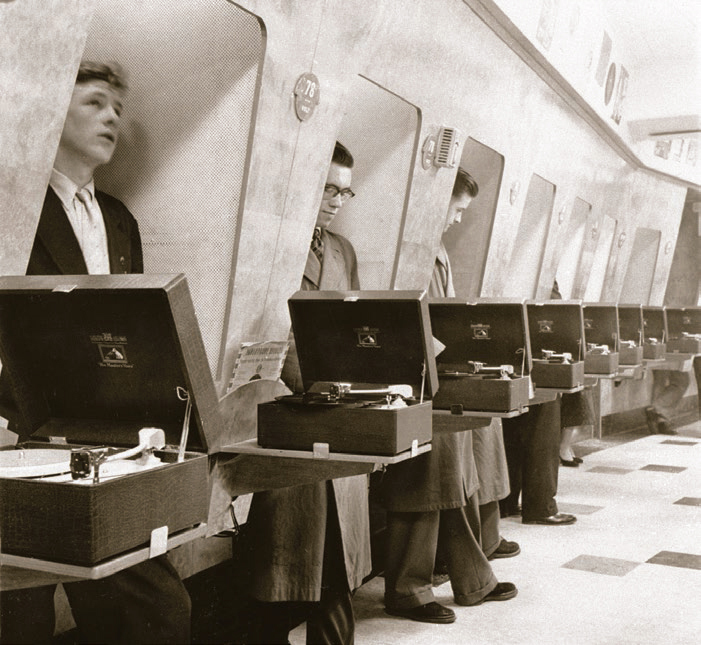 Customers in a London record store audition 78 rpm records before purchase in private listening booths, 1950s. For countless parents, the two decades that followed World War II introduced a new kind of promiscuity to worry about. And it was made of vinyl. No, we're not talking backseat upholstery. But how 'bout the phonograph record, with its sensual, seductive sound? In the midst of the mid-century, the vinyl record became a compelling medium that delivered to the masses perhaps the greatest artistic influence on 20th century American culture: recordings of popular music—from rock to jazz, from rhythm and blues to country. 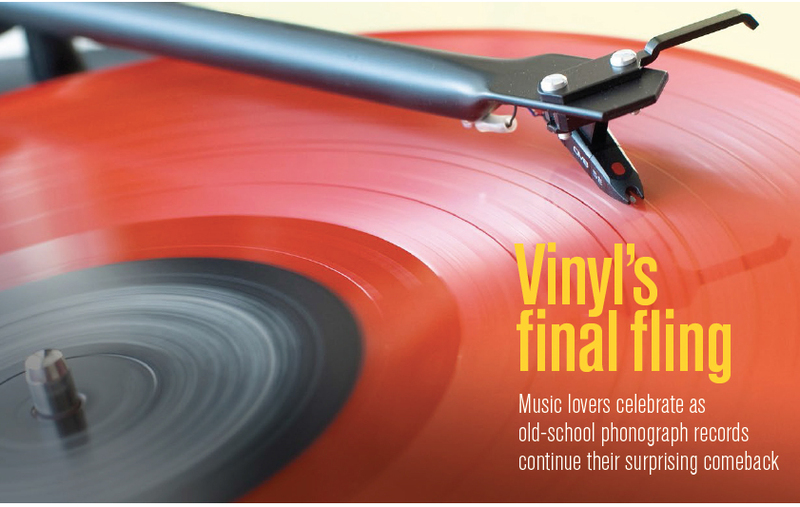 Back then vinyl was king—but just how long would it continue to own the throne? In its infancy, the record industry was born primarily of two 19th century inventions: Thomas Edison's phonograph in 1877, which played and recorded wax cylinders, and Emile Berliner's lateral-disc records in 1889. Before long, record discs began to evolve—both in size and playing speed—before finally standardizing at ten inches and 78 rpms (revolutions per minute) in 1925. Like many other advances, the development of the phonograph record was slowed by World War II, before 33-1/3 and 45 rpm records took hold beginning in 1948. Long-playing (LP) and single vinyl records ruled the recording roost from the early 1950s until the advent of the digital compact disc in the 1980s. They remained on life support as a niche market for the next two decades until something almost unparalleled in consumer economics occurred: 'outdated' technology made a perplexing comeback. We recently talked with an ensemble of recorded music aficionados, from writers to retailers to record industry pros. All fell in love with rock music as teens, with several getting their first jobs hawking vinyl to finance their new passion.